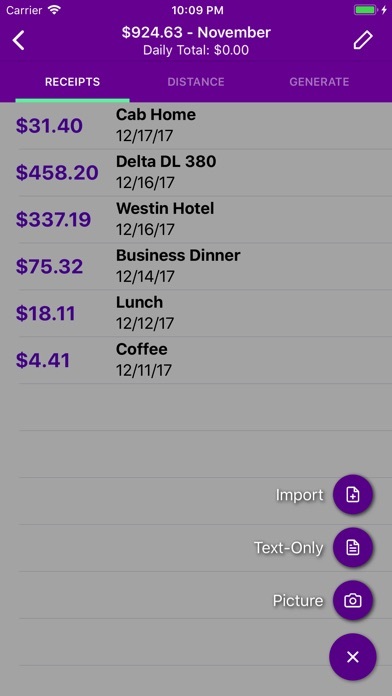 Turn your phone into a receipt scanner, mileage tracker, and expense report generator with Smart Receipts! Save time on expenses to get back to what matters. SMART RECEIPTS IS PERFECT FOR BOTH INDIVIDUALS AND BUSINESSES! 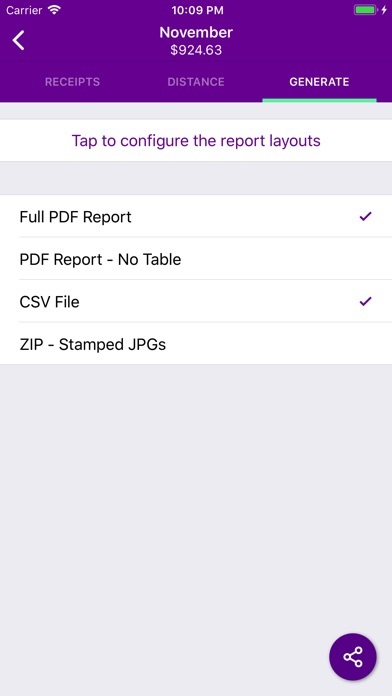 With fully customizable PDF, CSV, and ZIP reports, you can create professional reports for both your personal finance tracking and your employer’s needs. Smart Receipts allows you to select from over 20 different default data types (including dates, price, tax, receipt categories, comments, payment methods, etc.) to help you generate the perfect report, saving you hours of time doing expenses and getting you back to things you actually care about. TIRED OF SPENDING HOURS SCANNING RECEIPTS? 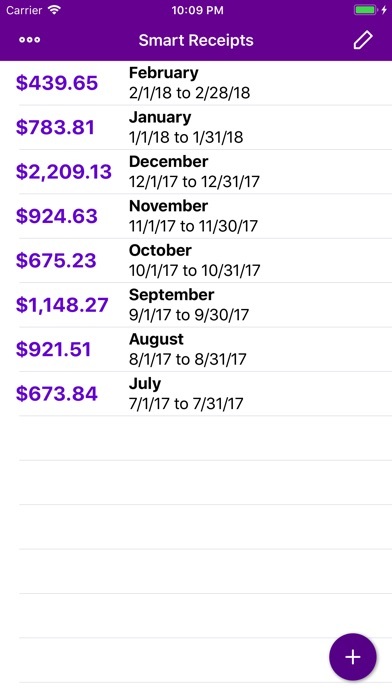 Join over 500,000 users, who save hours each week using Smart Receipts to manage their expenses and generate expense reports. Smart Receipts was designed by a traveling consultant, so it is built for both efficiency and flexibility. TRUSTED & SECURE Smart Receipts is an open source, so you can be trust that your expense data remains yours and won't be secretly sold to third-party advertisers. FEATURES: • Create expense report "folders" to categorize your receipts • Take receipt photos with your camera's phone • Import existing pictures on your device • Import PDF receipts • Save receipt price, tax, and currency • Tag receipt names, categories, payment method, comments, and other metadata • Create/edit/delete all receipt categories • Track distance traveled for mileage reimbursement • Automatic exchange rate processing • Smart prediction based on past receipts • Generate PDF, CSV, & ZIP reports • Fully customizable report output • Automatic backup support via Google Drive • OCR support for receipt scans COMING SOON: • Graphical breakdowns of spending per category • Any many more... LICENSE: Smart Receipts is open-source and licensed under the AGPL (https://www.gnu.org/licenses/agpl-3.0.en.html). This program is distributed in the hope that it will be useful, but WITHOUT ANY WARRANTY; without even the implied warranty of MERCHANTABILITY or FITNESS FOR A PARTICULAR PURPOSE. See the GNU Affero General Public License for more details. This is great for when you travel for work. It’s very easy to use, and keeps you really organized without having to keep up with receipts! My favorite app on my phone at this moment! 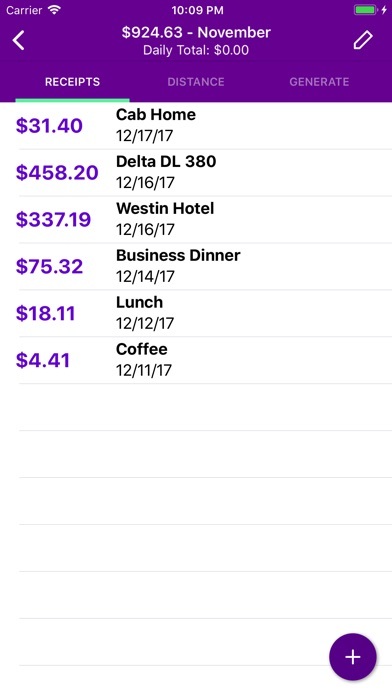 If you travel and you need to keep track of receipts, this is by far the best app. I’ve tried a few, to me this one has it all. Not only that, but it gets regular updates and developer actually listens and responds to comments. Definitely one of the most valued productivity apps on my phone. Works great for tracking receipts and categorizing expenses immediately. Offers the ability to run multiple expense reports at once so I am able to track my receipts for consumables in one report and each depreciation schedule in separate reports. This makes tax season a breeze. The only issue is this year I had a large amount of receipts into the app and when the report was exported the pictures of the receipts were pixelated from the size being dropped. 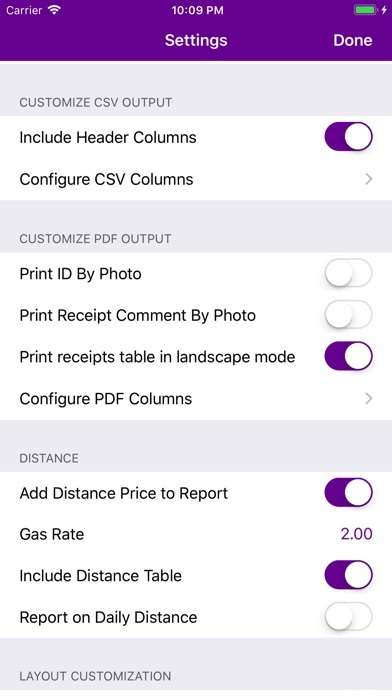 The app needs to have to ability to save the receipt photos at their full pixel value and then have the ability to export the reports by either logging into an online drive or send the report to the iCloud. This would allow you to receive your full report on your computer where you need it without losing the picture value of your receipts by having to send them report in an email with limited space. This app doesn’t work. There’s no support. Their website doesn’t work. Can’t create a login to complete my account so I can use the app. How do I get this resolves or refunded? The fact that the data is stored on the device, instead of a cloud makes it a total loser in my option. If I am going to scan all my receipts, I want to know they are safe in a cloud and available to me from any device. There is also the matter of using device storage space to keep receipts. The app when I was in android worked great. Now that I’m on iPhone every time I generate a pdf table and try to send in email. It takes 8 hours before the email will send. I’m done with this app, I need for my work expenses but this is just ridiculous. I have been very pleased with this product as it gives me a fast reliable way to capture my receipts and submit my expenses to corporate.